Have you ever been to Polyfest? 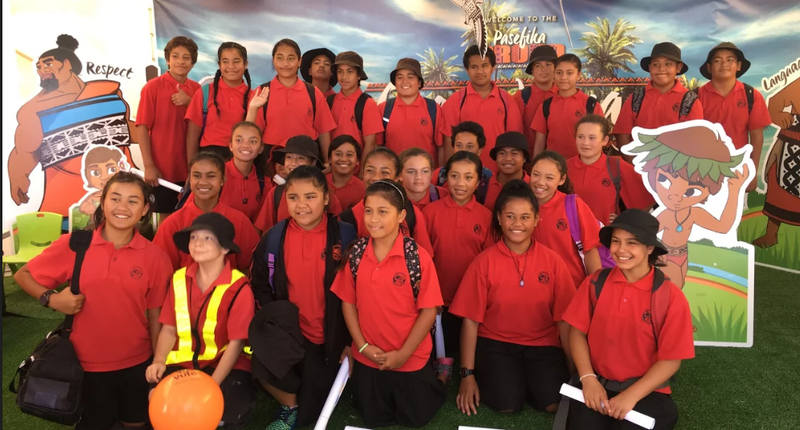 Polyfest is a festival where different schools perform in a variety of different cultural groups. There are many stages where you can perform such as Samoan, Tongan, Cook Island, Maori, Niuean and more. 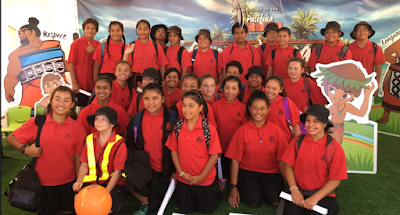 Yesterday the Yr 7 & 8’s of P.E.S got the opportunity to go and explore the Polyfest Festival at Manukau Sports Bowl. The first thing we did was go to some of the cool workshops they had at Poly. The workshops were there to teach us and all the other schools about our culture and many more things. I have to say it was pretty cool. There were some cool performances and delicious food. One of my highlights would have to be eating all the food. The food was so nice it tasted like heaven. There were Island food, Cook Island donuts, Mango and Strawberry smoothies, ice cream in the pineapple and watermelon, panikeke, otai and many more. The food was absolutely delicious. My second highlight was probably watching the Diversity stage with my group. The diversity stage was very entertaining because I got to see how other cultures perform and express their culture. It was cool seeing an ex-pt englander on the stage performing in the Fijian group. I think it is important for students to go to Polyfest because they get to go and learn at the new workshops. I think it is important because they get to learn about all the different pacific islands and cultures. I think more schools should go to Polyfest and learn because it is really fun and you learn. Overall I think the Polyfest was very enjoyable and fun. I learnt heaps from the different workshops and enjoyed every moment. I loved watching the different performances but my favorite part of the day was eating the lovely food. Thank you to Mrs Sio for buying us food!